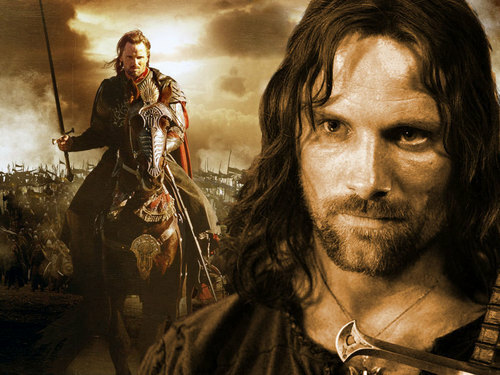 Aragorn. . HD Wallpaper and background images in the द लॉर्ड ऑफ द रिंग्स club tagged: aragorn lord of the rings image. This द लॉर्ड ऑफ द रिंग्स wallpaper contains संगीत कार्यक्रम. There might also be गिटारवादक, गिटार खिलाड़ी, and गिटार प्लेयर. I love all of the lord of the lord of the rings characters but Aragorn and Legolas are my favorites.